Xtreme Smart Start (Client location) $200.00 now. Xtreme 30 (Client location) $75.00 now. Xtreme 30 Silver (Client location) $520.00 now. Xtreme 30 Gold (Client location) $720.00 now. Xtreme 30 Platinum (Client location) $880.00 now. Xtreme 60 (Client location) $100.00 now. Xtreme 60 Silver (Client location) $680.00 now. Xtreme 60 Gold (Client location) $960.00 now. Xtreme 60 Platinum (Client location) $1,200.00 now. Xtreme 60 Xtreme (Client Location) $1,680.00 now. Xtreme 60 Silver Buddy Package (Client location) $600.00 now. Xtreme 60 Gold Buddy Package (Client location) $850.00 now. Xtreme 60 Platinum Buddy Package (Client location) $1,000.00 now. Xtreme Smart Start (Training Studio) $120.00 now. Xtreme 30 (Training Studio) $40.00 now. Xtreme 30 Silver (Training Studio) $300.00 now. Xtreme 30 Gold (Training Studio) $420.00 now. 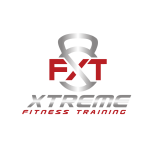 Xtreme 30 Platinum (Training Studio) $520.00 now. Xtreme 60 (Training Studio) $65.00 now. Xtreme 60 Silver (Training Studio) $400.00 now. Xtreme 60 Gold (Training Studio) $600.00 now. Xtreme 60 Platinum (Training Studio) $750.00 now. Xtreme 60 Xtreme (Training Studio) $1,000.00 now. Xtreme 60 Silver Buddy Package (Training Studio) $350.00 now. Xtreme 60 Gold Buddy Package (Training Studio) $450.00 now. Xtreme 60 Platinum Buddy Package (Training Studio) $600.00 now. Xtreme 60 Xtreme Buddy Package (Training Studio) $800.00 now.